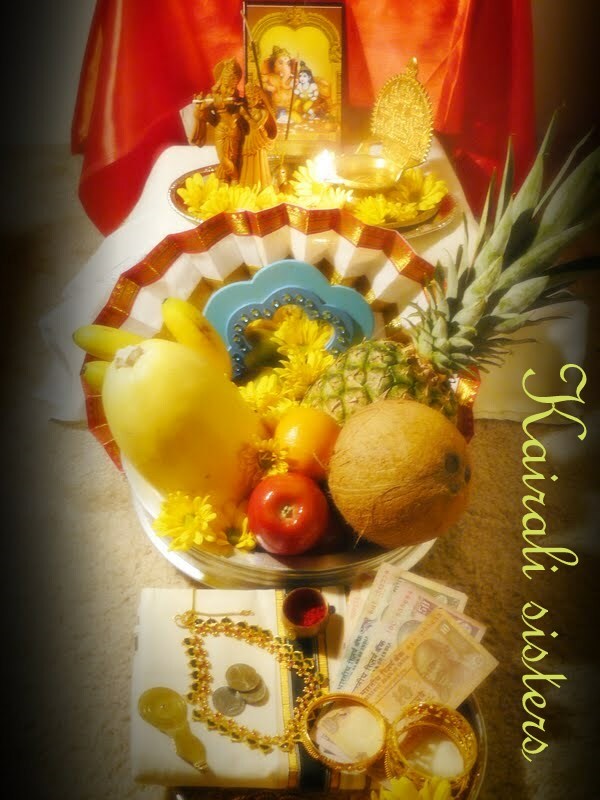 Kalakkittundu ketto :) Payasavum Vishu kaniyum ugran..Happy Vishu to you too!! kani super ayittu ondallo :) pal payasam adipoli :)....Happy Vishu to u as well !! Happy Vishu to you dears. The Paal payasam certainly looks fabulous! Happy Vishu Sisters. Palpayasam looks very yummy.You should have put the snap of the sadhya too,so that I can drool a bit more. sisters..Wishing you and yourfamily a Happy Vishu..Palpayasam looks so delicious.. Happy Vishu.Wishing you awonderful and happy year ahead.Kheer looks delicious and creamy. Happy Vishu to u all...Pal payasam looks fantastic,wat an excellent sweet to celebrate this say.. Happy Vishu to all dears... perfect vishu kani with nice pics.. Wish you a very happy Vishu. May your year be fantastic. Happy Vishu to you too :-) payasam kurachu parcel cheyyane..
adipoli kani.. wish you all a blessed vishu too..sadhya gambeeram aakiyo? Vishu kani was great..........payasam is mouth watering. belated happy vishu dear......header photo perinnu match ayittundu keto.......paal payasam ayirunnu alle vishu vinnnu....njannum kanni vachu.....kandiyilla? Hmmm that is one beautiful and happy occasion of Vishu, love the photo. My heartfelt Vishu wishes to everyone in Kerala and other parts of the world. Happy Vishu!